US equity indexes closed fractionally mixed, sp +0.5pts at 2579. The two leaders - Trans/R2K, settled -0.1% and +0.2% respectively. 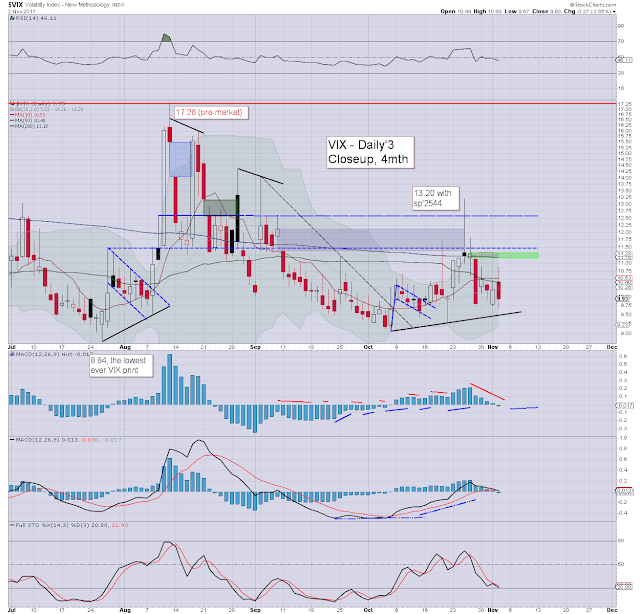 VIX settled -2.6% at 9.93. 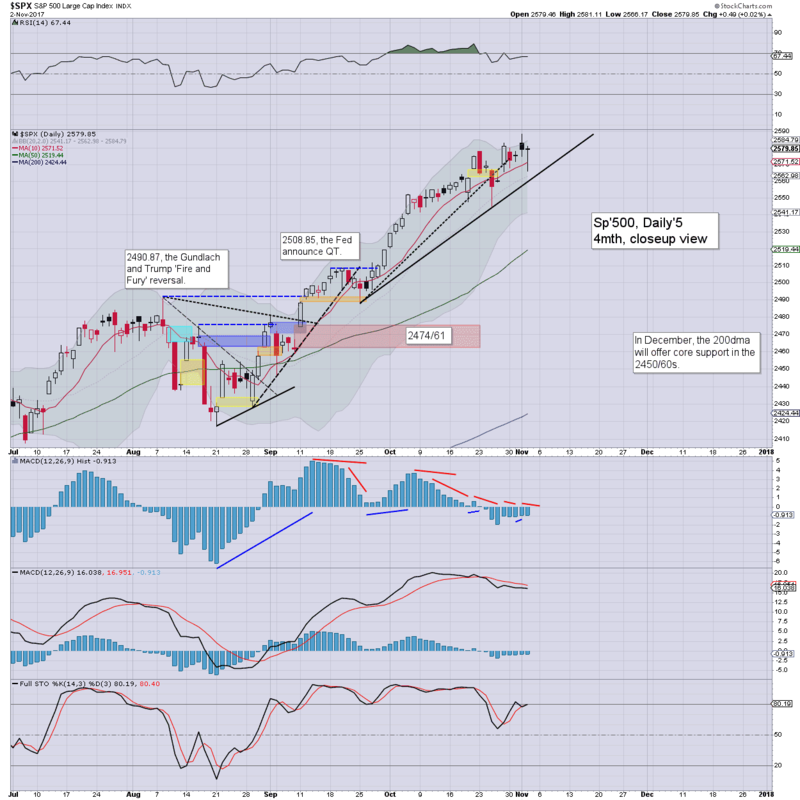 Near term outlook offers moderate chop into the weekend. Broadly, the US market remains scary strong, based on good earnings/econ-data. US equities opened in minor chop mode, and leaned increasingly weak across the morning. The afternoon saw a moderate recovery, with the sp'500 managing a fractional gain, resulting in a very notable third consecutive black-fail candle. Those are usually indicative of bullish exhaustion. 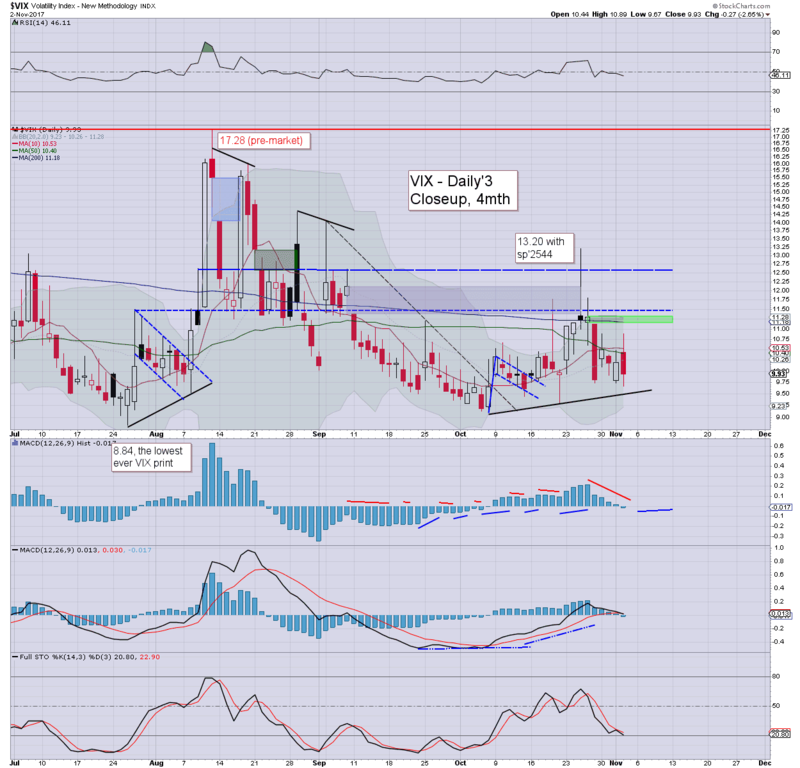 With sp'2566, volatility saw a morning high of 10.89, but then cooling all the way into the close, settling in the 9s for the first time in a week. 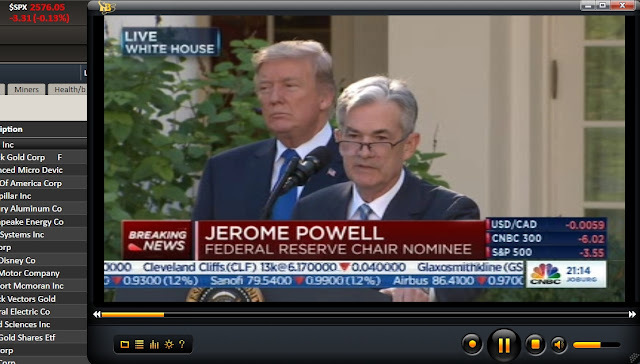 Powell is a surprise. Taylor was the best candidate, but then does it really matter? Various fed research papers have already made it clear, when the next crisis, or even just a 'standard recession' hits, the fed will cut rates and spool up the printers. It really doesn't matter who is the one that leads such as institution.